If you have yet to attended SEMA, it’s a difficult spectacle to describe. It is a veritable sea of humanity swirling around thousands of products from fuzzy dice to superchargers. It is almost too much to take in. Finding the good stuff amidst the perhaps not so good stuff is a bit of a challenge. Below are a few our notable finds, big and small. The arrival of the newest iteration of the Jeep Cherokee has been a bumpy ride with dealers just now getting their inventory. 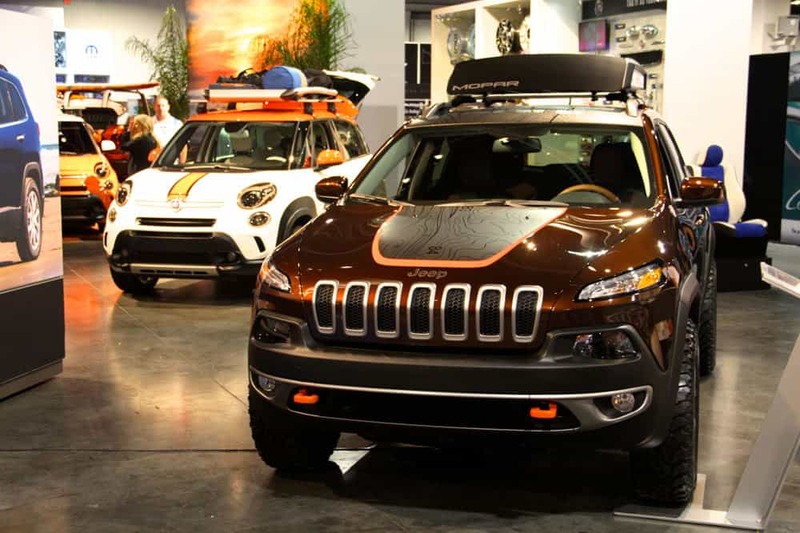 When images were first released, many thought the styling was unworthy of the Cherokee name. There is no doubt it lacks the right-angled styling of the original Cherokee, but it would be tough to expect Jeep to not follow the advancement of design trends and update the platform. Aesthetics are subjective, but I think it’s a sharp looking vehicle. 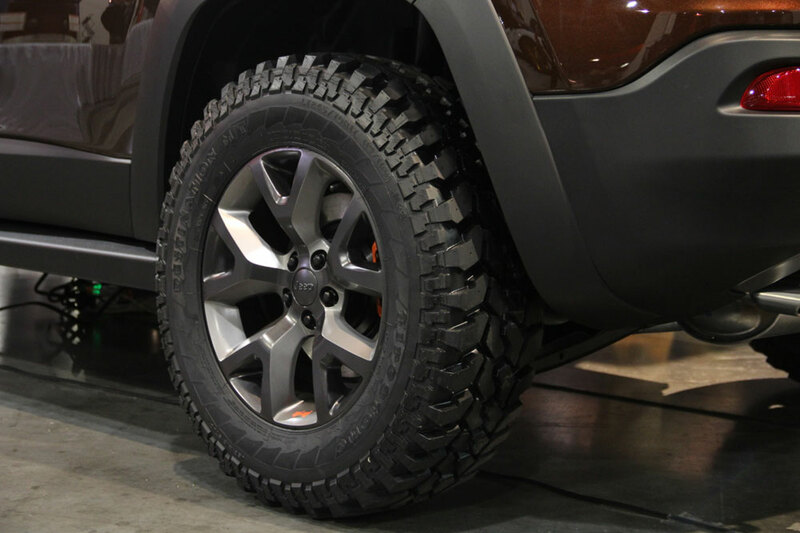 With a 9-speed transmission, rear locker, tow hooks on three corners, superb fuel efficiency, and a modest factory-installed lift, the Trailhawk edition is an attractive option for those looking to knock down big miles over mild terrain. 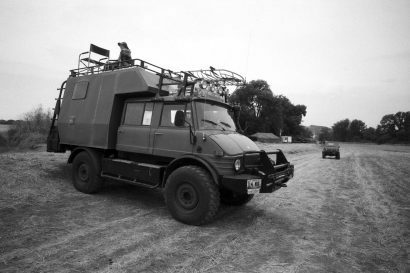 Many of us on the Overland International team agreed, one of the highlights of the show was the AEV Ram 3500. Its broad stance paired to the sculpted front bumper is––awesome. 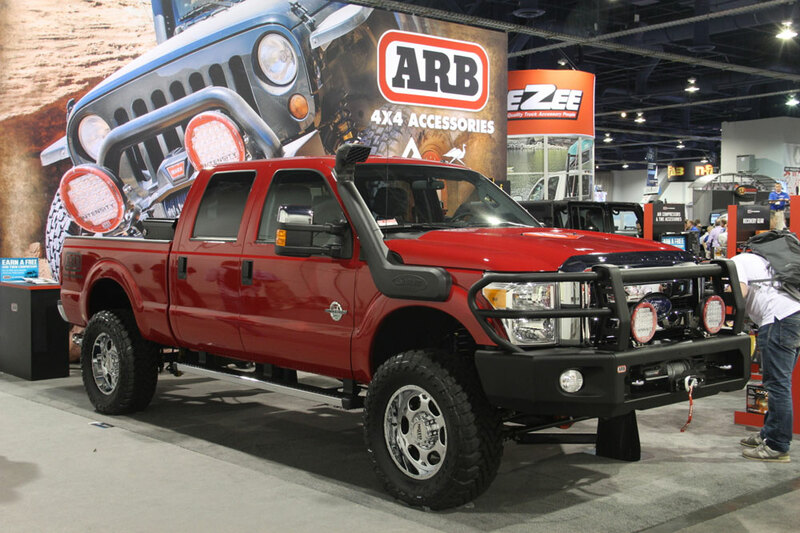 For fans of full-sized trucks, this year’s SEMA show had much to offer, and not just within the AEV booth. 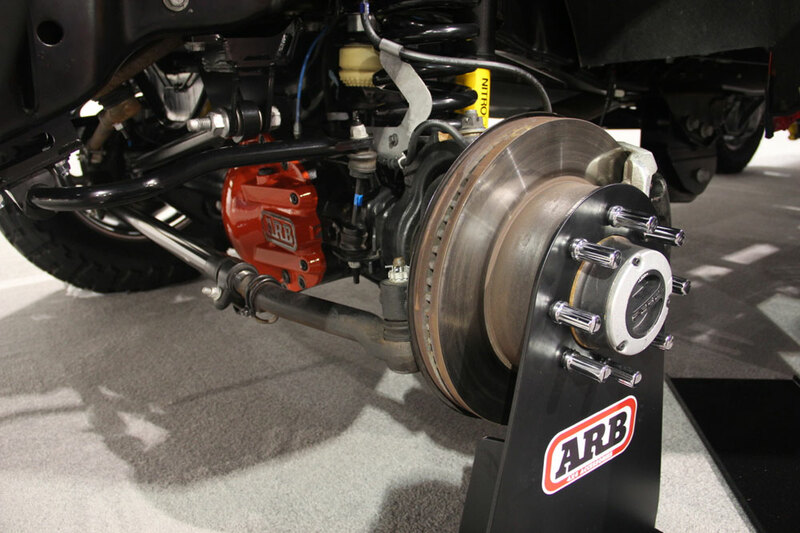 ARB has added new products for the Ford F250 and F350. Their new modular front bumper gives Ford owners a multitude of bumper configurations. 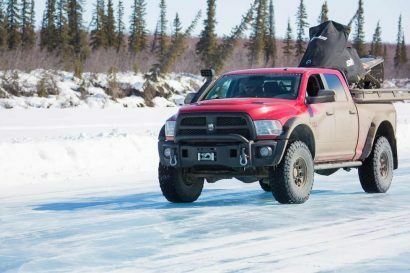 They have also added a full line of lockers and suspension upgrades for these highly capable trucks. 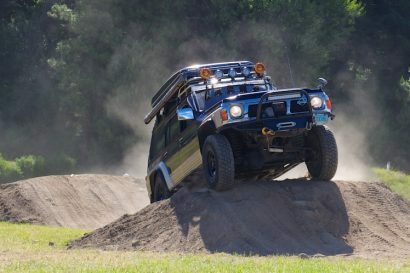 The Jeep JK was the undisputed king of this year’s SEMA offroad segment with everyone trying to snag their share of the massive JK aftermarket. 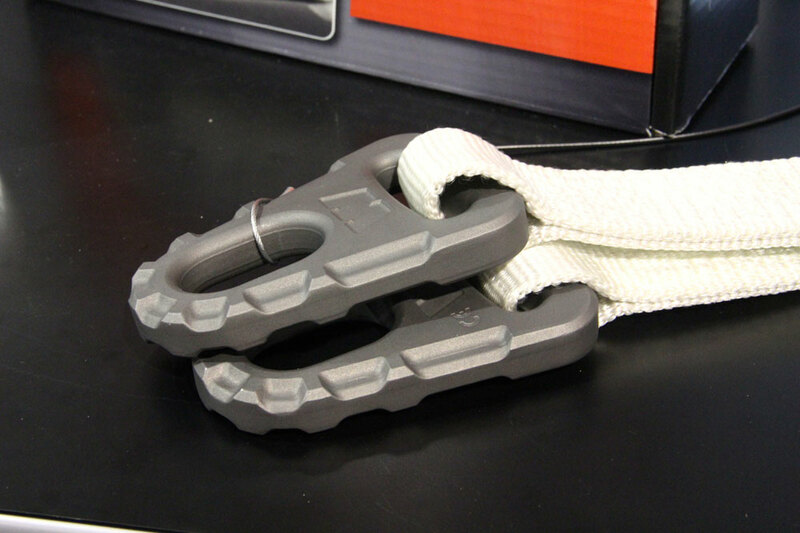 ARB has refined their drawer system for easier installation and use, and now offers an improved swing-away tire carrier. 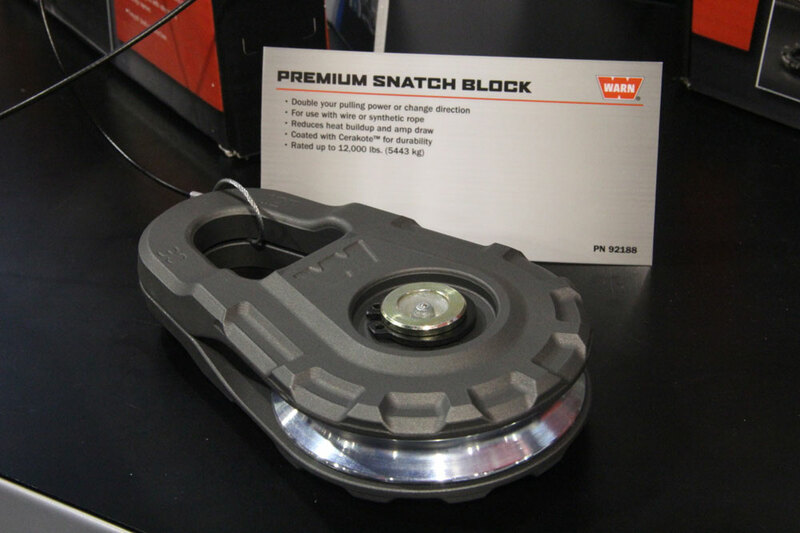 Warn is tireless in their efforts to improve on existing products and add to their already extensive catalog. 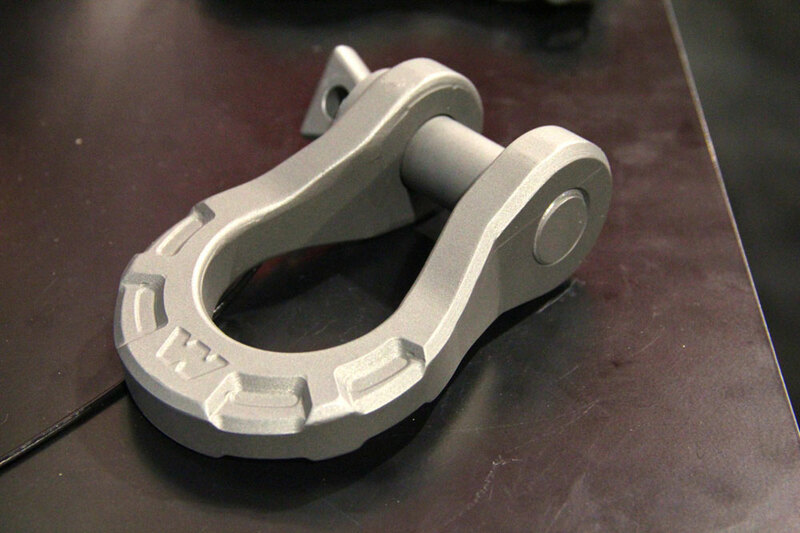 Their updated recovery products include redesigned hooks and shackles featuring new shapes and a ceramic-like finish for maximum durability. 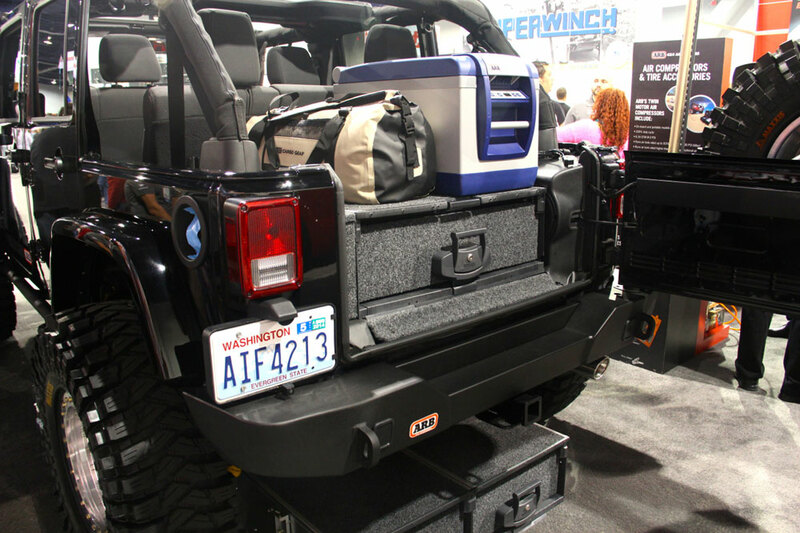 It’s safe to say, SEMA 2013 was the year of the light bar. Can you have too much light bar? Yes. One truck had a total of 450 LEDs, all facing forward. That’s enough light to see into the future. 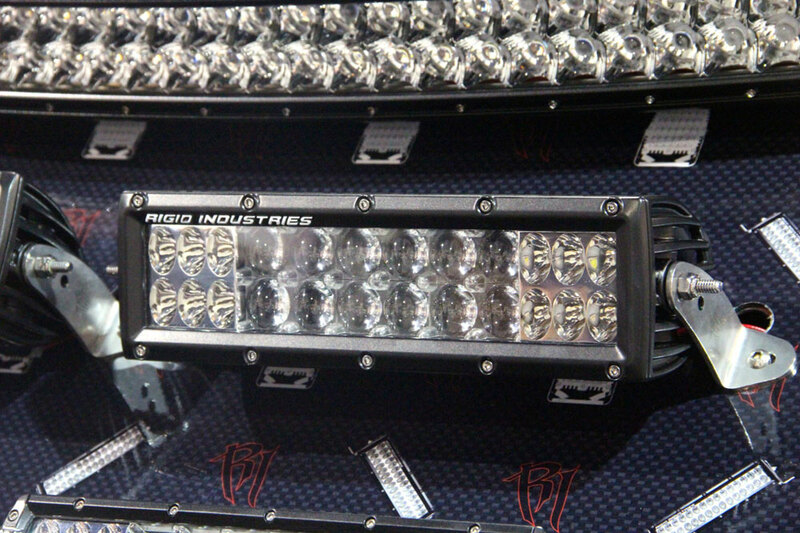 A more sensible approach might be to add just a few quality lights like those from Rigid Industries. Their newest E2 lights feature LEDs configured with spot-focused lights in the center, flanked by flood-focused lights on the edges. Newly designed mounting brackets and updated wiring options improve installation, and users can even request custom wiring enabling the user to toggle between the flood and spot beams. Stay tuned for more follow up coverage of the 2013 SEMA show.